Dynaste is assured the same five-star treatment in retirement that he has enjoyed throughout his life after a distinguished career that has earned his connections the best part of £600,000 came to a not unexpected end at Sandown. That was the message owner John White was keen to convey after his dual Grade 1 winner had ended his career by finishing only seventh in the veterans' chase, in which the handicapper appeared to have given him a golden opportunity but Tom Scudamore could never quite get him where he wanted him. White said: "It wasn't a difficult decision to retire him. It was the logical one and he's going out in one piece." 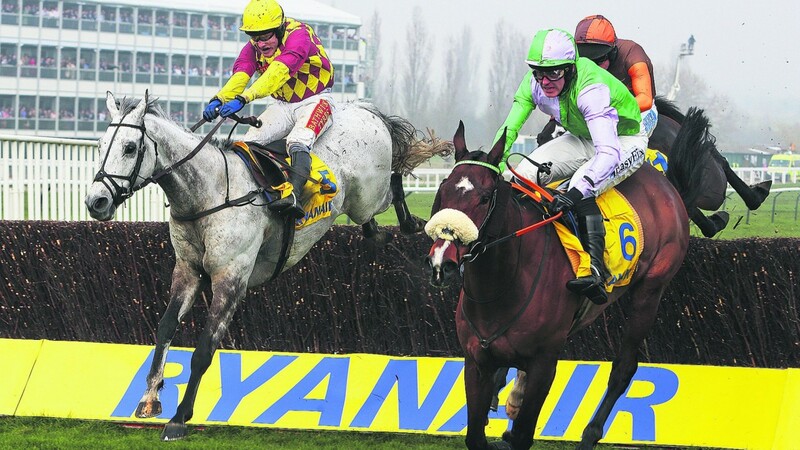 Asked for highlights in a career that yielded only seven wins but some excellent placings, including a second to Silviniaco Conti in the 2014 King George, he said: "For me it was a combination of his win in the Fixed Brush Hurdle at Haydock, when we realised we had a bloody good horse, and that win in the Ryanair." He added: "I've got his full brother and half sister, both so far unraced, and if you said either would be half as good we would take that now. They are something to look forward to anyway." Dynaste will be kept active in his retirement, although not necessarily competitively, and it's not impossible he will lead the youngsters at Pipe's. White underlined, however, that "whatever he does now, he'll have five star treatment like he's had at David's all of the way." Pipe said: "Dynaste has been very good for my career and also for Tom Scu's, and he can stay with me as long as he likes. "Every stable needs a flagship horse and he's been ours for a few years. It will be hard to find another one like him, let alone at that price. He only cost €8,000."